As written about here earlier, cats have a nice life. I walked into my home seeing three cats in a row, all black: two lazing around, the third (with white spots, and belonging to a different neighbour from the other two) ambulating. I went up and got my PocketPC with the already mentioned camera application to take a shoot. 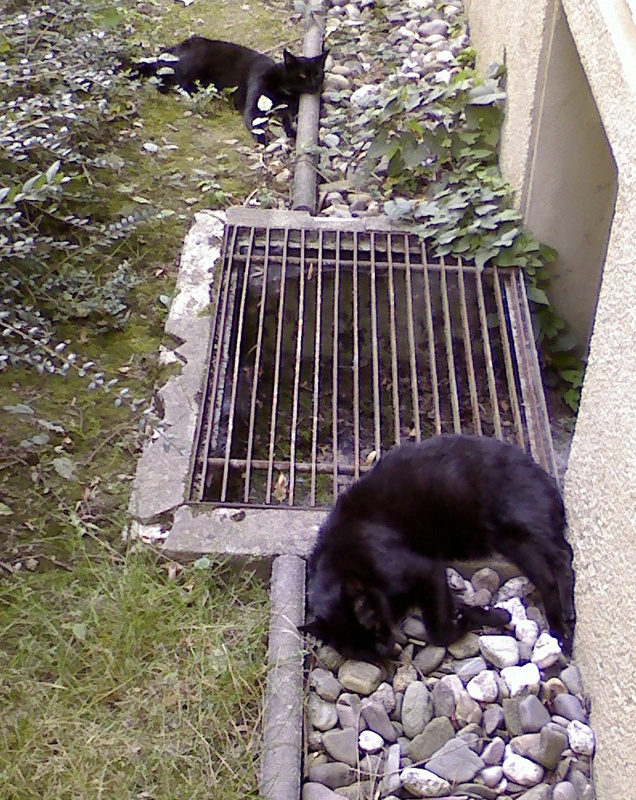 Sadly, the more shy cat went away, but I got some pictures of the other two — here they are, internet photo stars ☺ follow the hyperlink to get a large version.